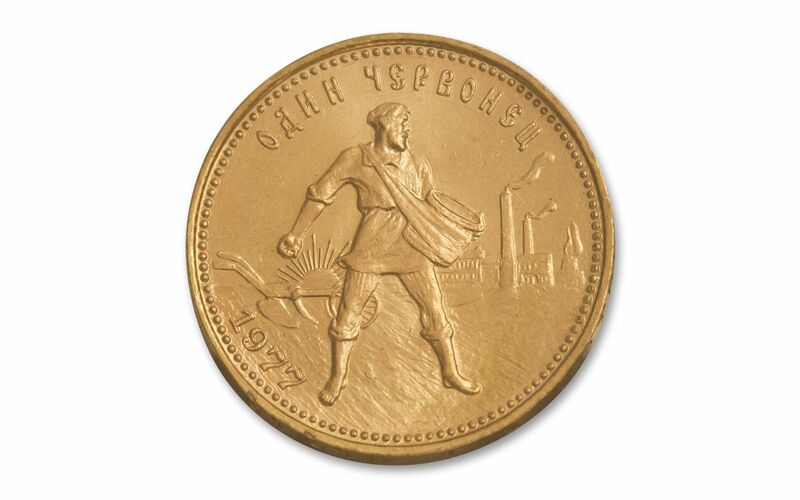 Not long after Russia started minting their first Chervonetz Gold coins, they stopped minting them-and even more mysteriously began minting them again between 1975 and 1982. 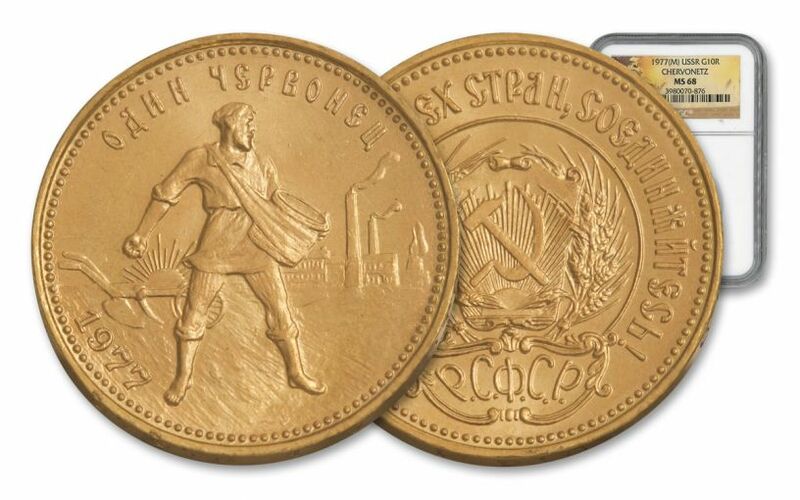 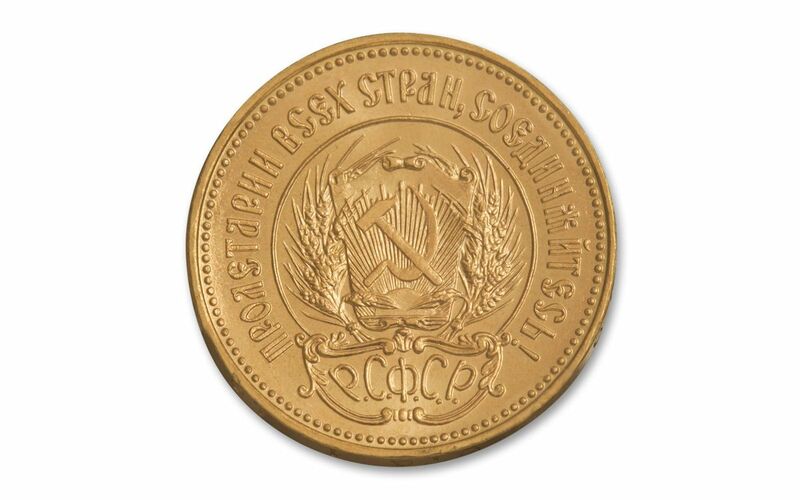 Through those years the USSR struck 6.565 million coins, each in .2489 ounces of 90% gold. 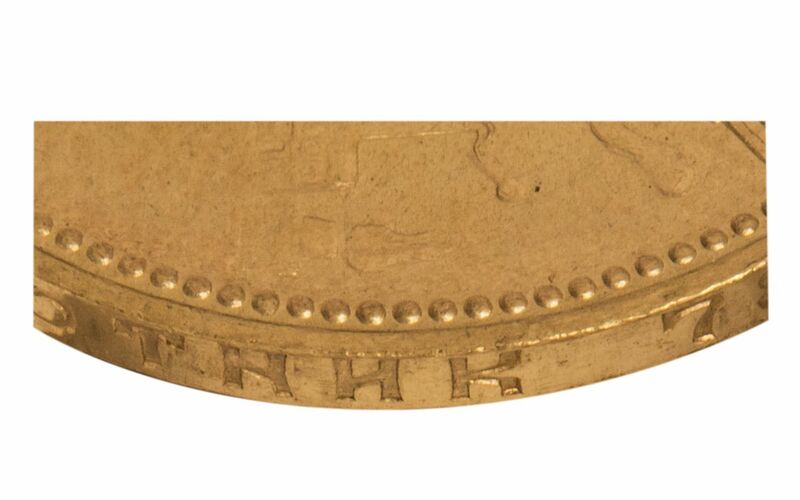 The biggest mystery of all is what happened to those coins. 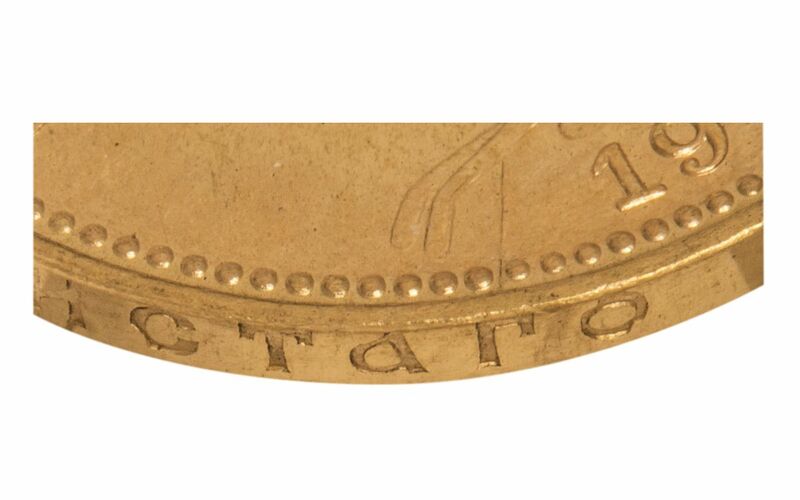 No one really knows, but until recently only 724 Gold Chervonetz coins were graded at Professional Coin Grading Service (PCGS) and Numismatic Guaranty Corporation (NGC) combined-only 724 coins out of nearly 7 million minted! 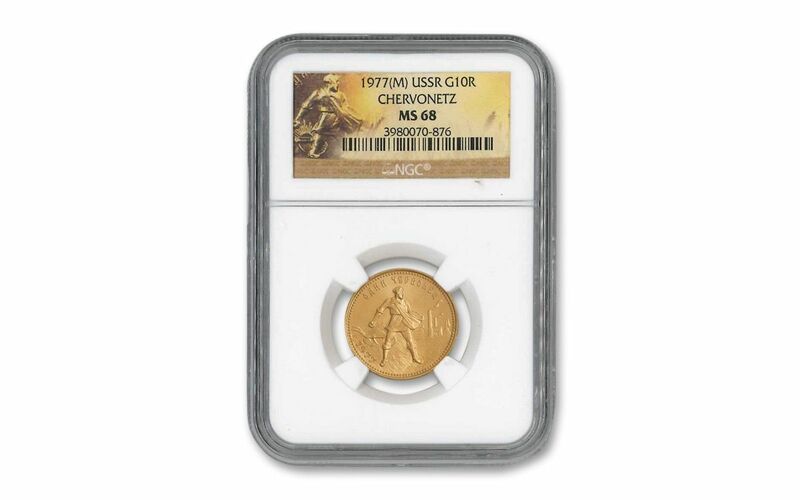 We're pleased to offer you a 1977 Chervonetz Mint State-68 (MS68) graded by Numismatic Guaranty Corporation (NGC). Grab Gorbachev's gold for your collection!